PHILADELPHIA — United for Libraries has awarded the 2014 United for Libraries/SAGE Academic Friend Conference Grant to Essraa Nawar of Leatherby Libraries, Chapman University, Orange, Calif.
Nawar will receive $850 plus full conference registration to attend the 2014 ALA Annual Conference June 26-July 1 in Las Vegas. A formal presentation to Nawar will be made at the conference. 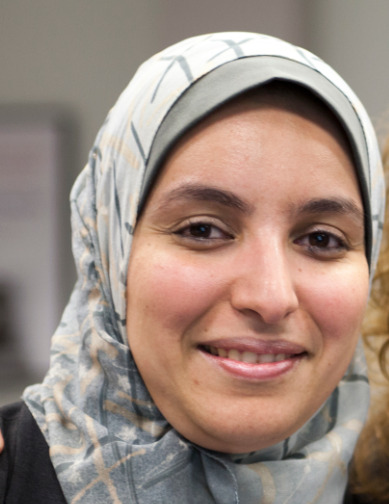 Nawar is the assistant to the dean for communications and external relations at the Leatherby Libraries, and the chair of the Arts, Exhibits and Events Committee at the library. She received a bachelor’s degree in commerce with an emphasis in accounting from Alexandria University, Egypt. She also holds an MBA from the American Management & Business Administration Institute. She is currently pursuing a master of arts in organizational leadership at Brandman University. Prior to moving to California, Nawar served in the new library of Alexandria (Bibliotheca Alexandrina) for four years. She was actively involved in the solicitation of rare and unique gifts and has also helped create the library’s Duplicate Materials Exchange Program. Her professional interests include developing and implementing marketing, branding and communications practices to support the Leatherby Libraries' strategic plan in attracting faculty, staff, students and other entities on and off campus, as well as maintaining an integrated external relations model targeting prospective donors, current donors, board members and external partners. Nawar is also very interested and active in the topics of interfaith dialogue, empowering Muslim women and embracing diversity. The United for Libraries/SAGE Academic Friend Conference Grant enables a person who is active in his or her college or university friends of the library group, or a library staff member who works in development, to attend the ALA Annual Conference. The Confer­ence Grant, made possible by a gift from SAGE, is administered by United for Libraries. Founded in 1965, SAGE is an independent company that shares with librarians the belief that flourishing educational programs and engaged scholarship create healthy minds and healthy societies. Our publishing program ranges across the social sciences, humanities, medicine, and engineering and includes journals, books, and digital products for academic and professional markets. SAGE values working closely with librarians to achieve shared goals, including partnering on white papers and research projects to ensure that together SAGE meets the changing needs of students and researchers. SAGE is a global group of companies, including Adam Matthew and CQ Press. United for Libraries: The Association of Library Trustees, Advocates, Friends and Foundations, is a division of the American Library Association that supports those who govern, promote, advocate, and fundraise for libraries. United for Libraries brings together library Trustees, advocates, friends, and foundations into a partnership that creates a powerful force for libraries in the 21st century. For more information or to join United for Libraries, visit the United for Libraries website or contact Jillian Kalonick at (312) 280-2161 or jkalonick@ala.org.